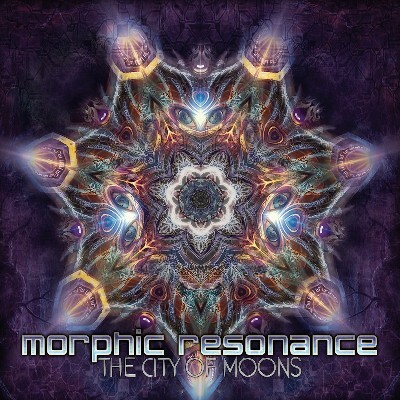 First we would like to thank you very much for all the nice words we received for the wondrous Morphic Resonance release! Did you ever wonder how the sales are of goa-labels? How much is digital, how much cd? Is the cd really dying? Are labels struggling? Suntrip Records opens all his official sales for the public... Have a look & share! Following the -legitimate- reduciton int he number of sold tickets (from 60000+ in 2014 to 33333 this year) for security and manageability reasons, the Boom was basically sold out before the end of 2015. Belgium is a small country with a big Goa fans base and unfortunately, we only had 40 tickets. A nightmare to explain that to hundreds of frustrated people. Oh and I'll put an end to a 19 year old curse and will manage be there too. Don't hesitate to come and say hello. And what are our future plans ? I just realized we hadn't communicated over the releases of 2016. Certainly because we were pretty depressed after the terrorist attacks... But you should really know, it's utterly exciting ! June 2016 : "XXXX - Live at Suntrip 10th Birthday, April 2014"
We are working on a yet-secret digital-only release with one artist, on a "Name your price basis". It will be a recorded live-act for the core fans wanting to hear how an artist edits his tracks prior to a live act, and there will be a couple of beta versions of yet-unreleased tracks too !!! September 2016: "Crossing Mind - Duality"
Stéphane is going to play at the Boom Festival and he's currently polishing again and again a collection of his new tracks ! And we'll release all of them just after!!! Be repapred for some serious psychedelia. October/November 2016: "RA - Earthcall"
End 2016 / Early 2017: Imba - "First Encounter", Mindsphere - "Seclusion", Merr0w - "Fractal Octopus", K.O.B. - "Kind Of Behaviour" ? We have at least 4 releases more or less complete and we're yet unable to tell which one is going to be completely ready first. Imba seems the most advanced at the moment, but Mindsphere's downtempo opus is also pretty much ready. Besides, Merr0w has a storng album base already, and K.O.B. (Filteria's side project) has delivered us a groovy >1-hour promo. Have a sunny week-end !